Raise your master-building ability to another level with THE LEGO MOVIE 2 70823 Emmet’s Thricycle! 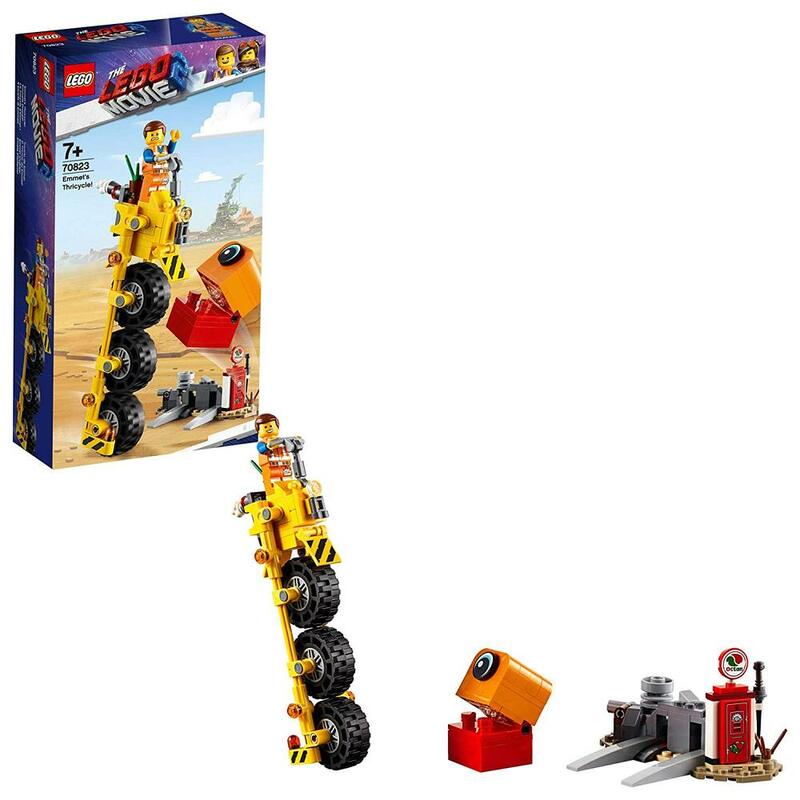 This awesome 3-wheel vehicle features a minifigure seat, 3 vertically stacked rubber tires and foldout stabilizers. It comes with a buildable fuel station with gas pump, catapult function and parking spot for the Thricycle, plus THE LEGO MOVIE 2 characters—an Emmet minifigure and a brick-built alien toy with a chomping mouth and rotating cyclops eye.